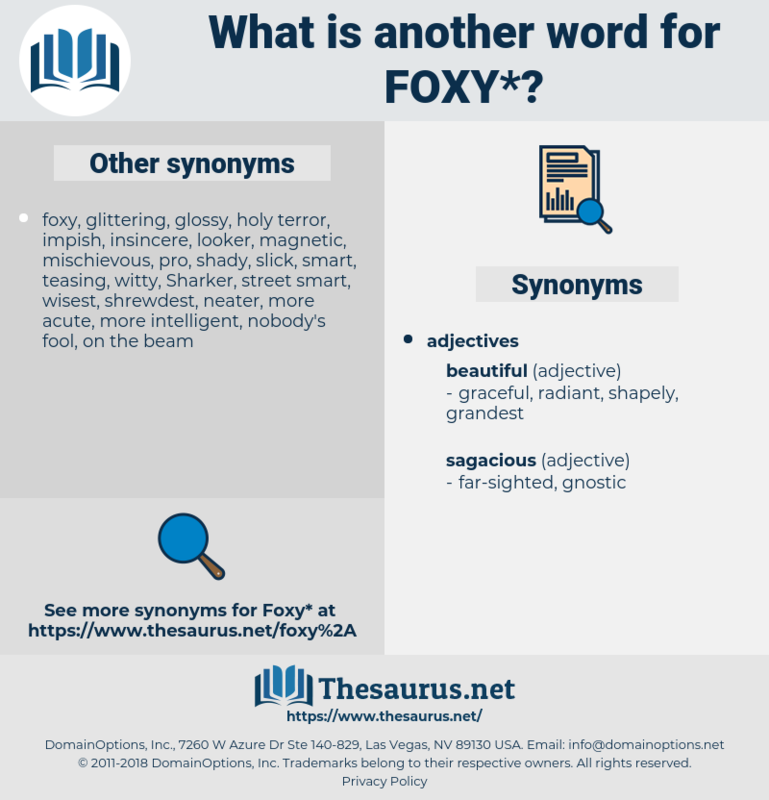 What is another word for foxy? Having the colour of a fox. clumsy, dense, inept, awkward, unskilled, stupid. asinine, imbecile, thick, shallow, ignorant, idiotic, obtuse. grotesque, ugly, offensive, hideous, plain, disgusting, unattractive, repulsive, homely. obvious, impressionable, patent, public, trusting, unforced, simpleminded, trustful, outspoken, direct, unstudied, unconcealed, real, frank, childlike, unworldly, Undesigning, guileless, unvarnished, plainspoken. 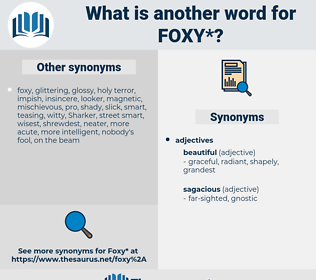 He's shore foxy - that hombre!